Possession of any amount of marijuana is a criminal offense in Michigan. Certain states have decriminalized marijuana possession. Other states have made marijuana legal for recreational use. Michigan, however, has done neither, and it’s important to know that possessing any amount of marijuana (without a medical marijuana card) violates Michigan state law. It’s also very important that you have an experienced and competent lawyer to represent you in the event you are charged with marijuana possession. Overzealous police and prosecutors may attempt to remodel your simple possession charge into something greater. The search and seizure itself may have violated the law. And then there is the term itself: “possession,” which is often misinterpreted. You can be convicted of this crime even if the marijuana wasn’t in your hand or your pocket. So, there are many different issues involved in drug possession cases, and a lawyer is essential for your protection. If you’ve been charged with possession of marijuana in Michigan or Macomb County, please contact Michigan Justice at (586) 221-1400. Consulting with an experienced lawyer from our firm can better ensure that your rights are protected. Marijuana possession charges must be handled with the utmost attention to detail, and that’s what we do best at Michigan Justice. The head of our criminal defense department, Goran Antovski, is an accomplished defense attorney and has had many cases for and with the Macomb County Prosecutor’s Office. He and the Michigan Justice team will rigorously and steadfastly defend your rights and work to provide the best possible outcome for your case. the person has the right to control the marijuana, even though it is in a different room or place. Possession may be sole, where one person alone possesses the marijuana, or possession may be joint, where two or more people each share control. The defendant knew that they possessed marijuana. Th marijuana that the defendant possessed weighed a certain amount (for sentencing). The marijuana was not obtained by a valid prescription. The defendant was not otherwise authorized to possess the marijuana. If you’re simply caught using marijuana, but are not charged with possession, then the offense is considered a misdemeanor. Penalties include a possible 90-day jail sentence and a $100 fine. Possession of marijuana is a misdemeanor and carries a penalty of up to one year in jail and a fine up to $2,000. Possession of marijuana plants, however, is a much more serious (and felonious) issue. If you are charged with possessing fewer than 20 plants, you could go to prison for up to 4 years or pay a fine of up to $20,000, or both. If you are convicted of possessing between 20 plants and 200 plants, you could be sent to prison for up to 7 years, and be forced to pay a fine of $500,000, or both. If you’re caught with more than 200 marijuana plants, you could face imprisonment for up to 15 years, and a possible (and incredible) $10,000,000 fine, or both. What should I do if I’ve been Charged with Possession of Marijuana? It is crucial you have an attorney who knows the law if you are facing marijuana possession allegations. There may be defenses to the charges or an opportunity to bargain for a plea deal. 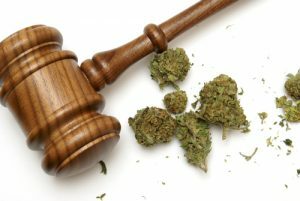 If you’ve been charged or arrested in connection with marijuana possession, you need experienced and skillful legal representation. Please call Michigan Justice at (586) 221-4100 today to speak with our knowledgeable and dedicated criminal law attorney, Goran Antovski. Mr. Antovski possesses insider knowledge which he uses to secure the best possible outcomes for his clients.